Johnson Controls has introduced the YORK YLAA scroll chiller available with low global warming potential (GWP) R454B refrigerant from 190-530kW cooling capacity. The YORK YLAA scroll chiller. The YORK YLAA is prepared for the future by providing the best available refrigerant choice for operating cost and environmental impact. “Johnson Controls continues to take a leadership role in the transition to the next generation of GWP refrigerants. It is our aim to help the industry to choose the best low GWP refrigerant for its equipment, so it can meet the European Union F-Gas Regulations. R454B is the lowest GWP replacement for R410A and provides similar properties and operating performance without major modifications to equipment design,” said Christian Rudio, director of portfolio management, Europe, at Johnson Controls. The YORK YLAA air-cooled chiller is an environmental leader delivering outstanding efficiency for all air conditioning applications. YLAA chillers are self-contained cooling solutions that are light-weight and compact for convenient installation, including a wide range of accessories and options, such as factory packaged variable speed pumps, Johnson Controls Connected Chillers intelligent performance monitoring, and low sound packages. With advanced technology, air-cooled water chiller systems featuring YORK YLAA chillers offer remarkable real-world performance. Brazed evaporators and microchannel condensers enable more efficient heat transfer, providing lower life-cycle costs. A true plug and play system that provides the highest efficiency for its operation, YORK YLAA air-cooled scroll chillers ensure reduced energy costs while being friendlier to the environment. R454B is a low GWP hydrofluoro-olefin (HFO) based refrigerant. 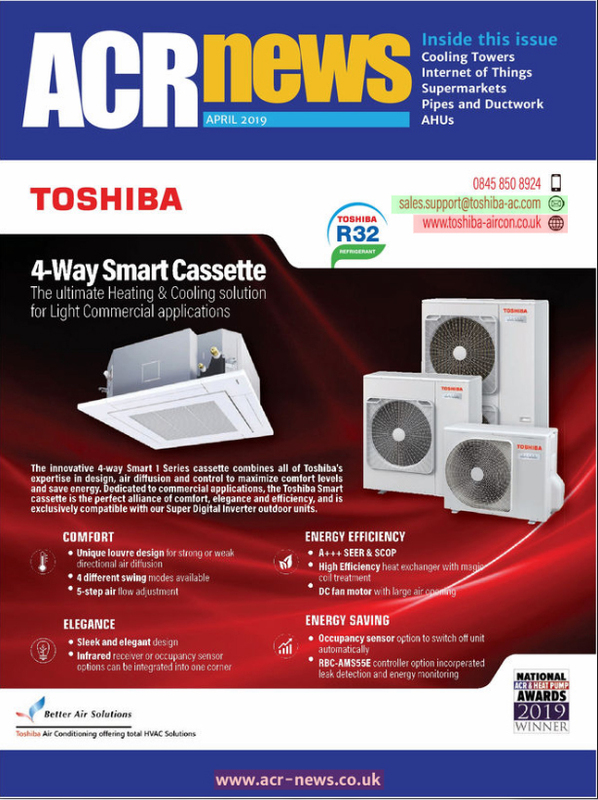 It offers the optimal balance of properties to replace R410A in positive displacement, direct expansion air conditioning, heat pump and chiller applications. 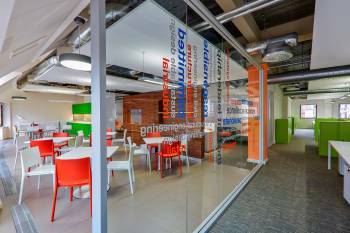 While all commercially viable replacements for R410A are classified as flammable, R454B has the lower flammability and low toxicity ASHRAE classification of A2L. It also has a lower burning velocity compared to R32. With a GWP of 476 (75 percent lower than R410A), this next generation refrigerant provides the same capacity but is of a higher efficiency than R410A and offers excellent performance in normal and high ambient conditions. 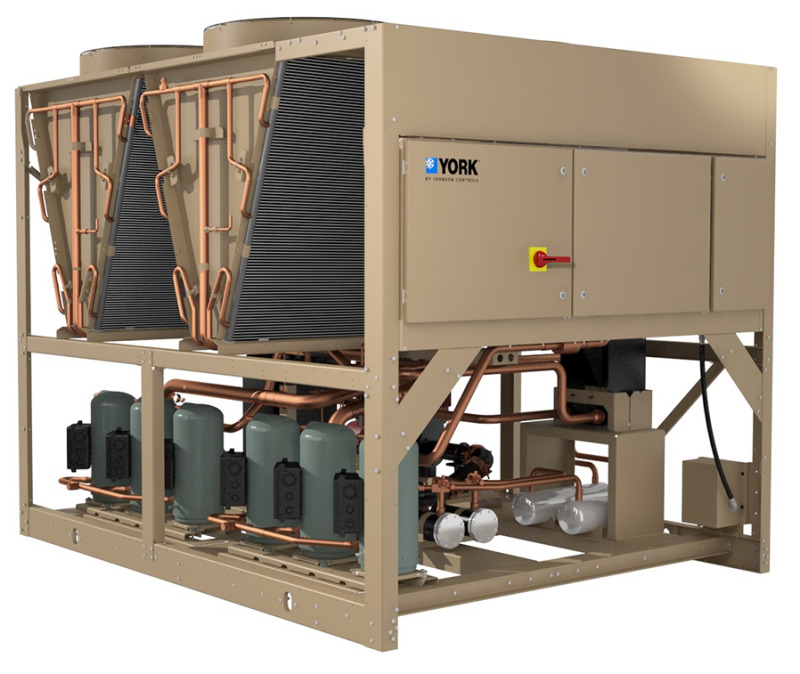 The YORK YLAA scroll chiller with R454B will be available in Europe early 2019.